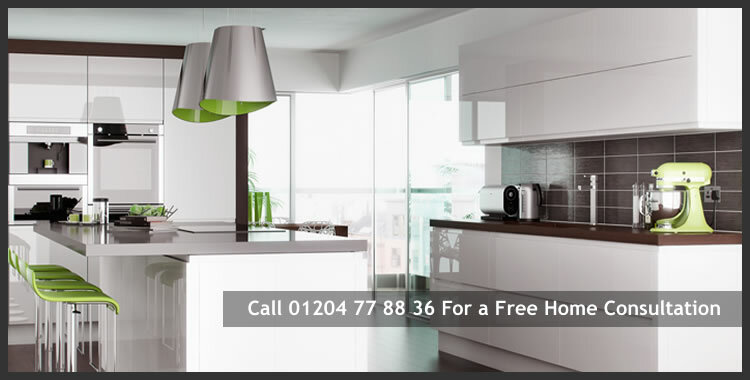 Bolton Kitchens have over 100 years experience in the kitchen design and supply business. Our aim is to provide a quality kitchen, designed to your exact requirements, fitted by skilled craftsmen, at a price within your budget. Our home consultation will take no more than an hour. We won't put pressure on you to sign up there and then. Your ideas are our main focus and we'll provide practical advice to help you make your ideal choice. Our prices are low because we source our kitchens direct from the manufacturer. We don't have an expensive high street showroom to pay for but we have a broad range of kitchen designs including solid wood, traditional, contemporary, modern and classical. We manage your kitchen project from start to finish ensuring our high standards for quality workmanship are met in the kitchen fitting, electrical installations, tiling, flooring and plastering. Call Ian Roscoe direct on 01204 77 88 36 for a no obligation chat or complete the online consultation request form and we'll call you back to arrange a convenient appointment.